I took this photo in this late afternoon. 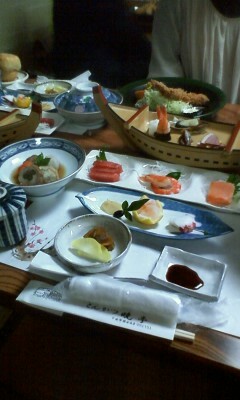 There were some ships on the sea in Shirahama to protect their ship from strong wind. Because we have very storng wind, more than 20 or 30 meters/second at around the tip of peninsula in this season. 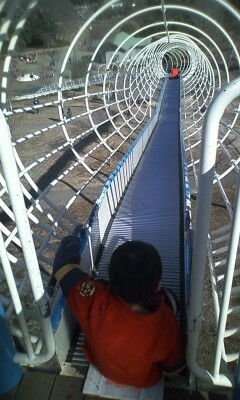 We slid down many times on the long slide. 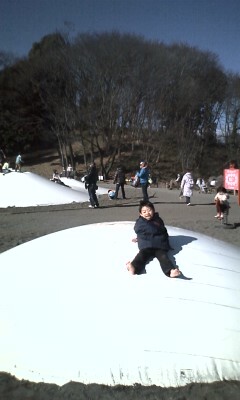 I went to Satoyama kids park with my son！ He was excited with the other children! 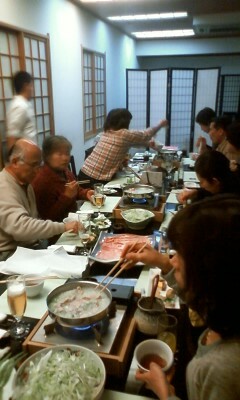 We had dinner with my wife's family in Chgasaki!